Wildhaven was totally destroyed on Black Saturday 2009. We are one hour from Melbourne, at the base of Kinglake National Park. We are licensed by the Australian Government. 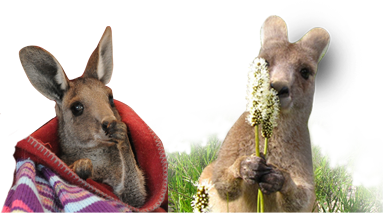 Wildhaven is still being rebuilt to house and care for 95 kg Kangaroos, Injured Wallabies, Wombats and Koalas. It takes very special enclosure so that the orphans and injured ones are not stressed any more than they have been. For badly injured wildlife they are contained for up to 6 months before they can be released back to the wild. The projects are on going. 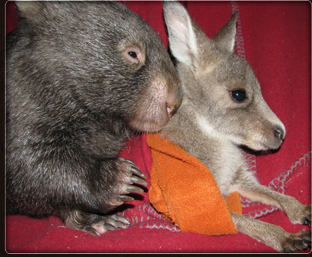 It is now January 2015, and we are in the process of building release areas for Wombats, a first aid areas for burnt Kangaroos - warm and quiet a tiny hospital in which all little ones can recover. Our final goal is to release them back to the Wild.